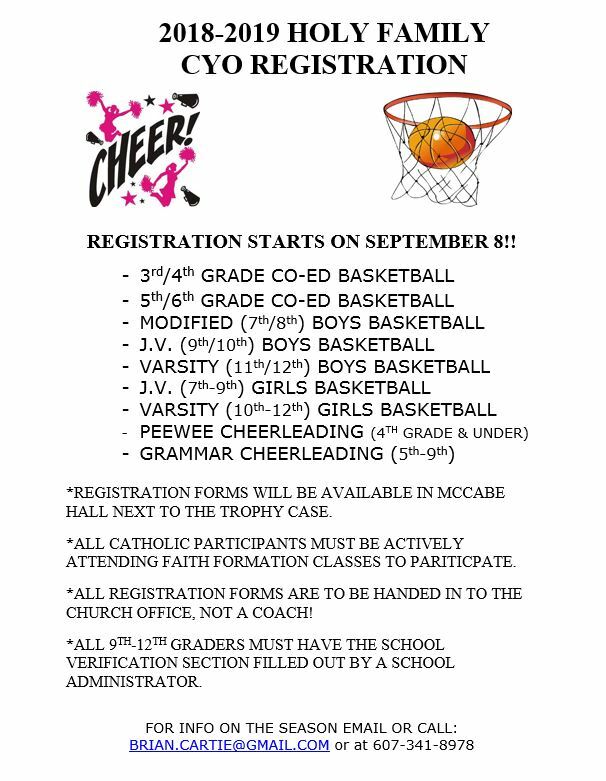 CYO offers basketball and cheerleading for grades 3-12. We strive for excellent sportsmanship and incorporate some kind of parish activity. Please contact Brian Cartie, the Church of the Holy Family CYO coordinator, for additional information at the parish office or via e-mail at Brian.Cartie@gmail.com.